Liberty Regional Medical Center has partnered with Memorial University Medical Center to provide life-saving stroke assistance in Liberty County and the surrounding areas. Utilizing real-time audio and video conferencing, neurologists at MUMC can assess a patient and communicate treatment plans directly with our ER physicians. 24 hours a day, 7 days a week. "Access to telemedicine services is especially important in stroke because time lost is brain lost," said Joel Greenberg, M.D., co-medical director of Memorial Stroke and one of the developers of the Telestroke Platform. "Patients with acute ischemic stroke (AIS) require immediate attention and stroke expertise; services rarely offered in smaller community hospitals. Through the use of audio and video, Telestroke essentially adds a neurologist to the rapid response teams of underserved regions, providing better stroke care for the local community." According to the American Stroke Association, stroke is the third leading cause of death in the U.S. and the primary cause of adult disability. Approximately 795,000 strokes occur in the U.S. each year, resulting in medical and disability costs of almost $74 billion annually. 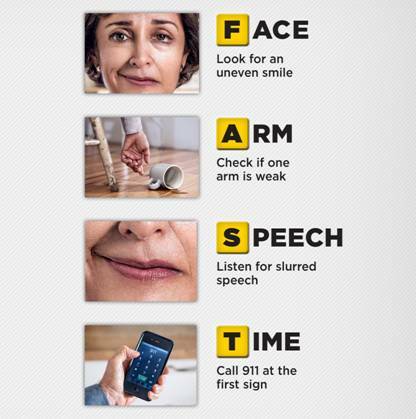 If you think you or a loved one are experiencing stroke symptoms, call 911 immediately. When a stroke occurs, every second lost can result in lost brain function. It's vital to recognize the warning signs and act quickly.